A constipated stomach is every poopers nightmare, and well, who doesn’t poop? All those junk foods aren’t doing too well to your stomach and you just cannot enjoy a nice sitting in the toilet but don’t you worry we’ve got you covered! Here are 10 foods to eat when you’re constipated. Here’s a simple food to “push out” that constipated feeling out of your body. Throw in a cup of spinach. It’s full of fibre (one cup of cooked spinach has four grams) and contains magnesium, a mineral that can aid in moving stool. Magnesium is often found in laxatives, but incorporating it into your diet is a less extreme option for most people. If you’re looking for a healthy grab-and-go snack, opt for a dried fruit like prunes. 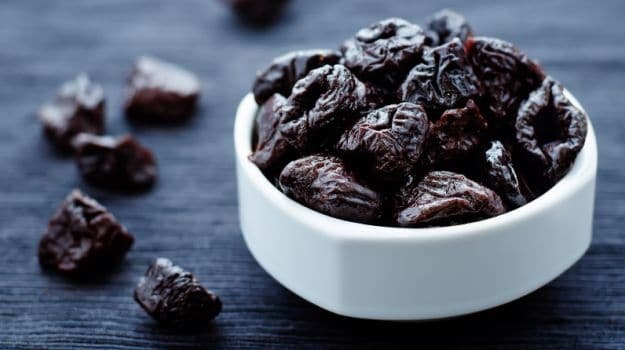 Sure, they sound like something your grandma would have hiding in her kitchen, but there’s a reason people turn to prunes when they’re having issues downstairs. They’re rich in fibre (one-half cup has about six grams) and contain sorbitol and fructan, which are natural sugars that have a laxative effect. Not into prunes? Try figs or apricots instead. 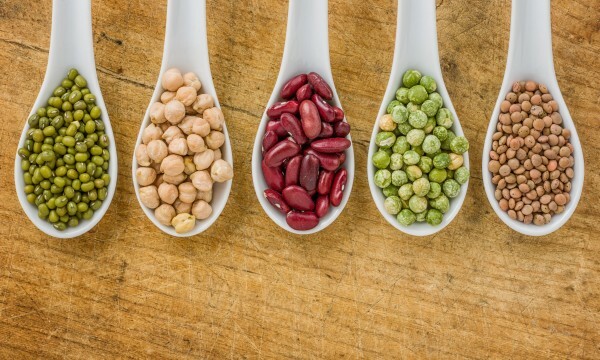 This group of veggies, which include beans, lentils, and peas, is full of health benefits. Include them in the diet every day, one-half cup cooked because they’re a rich source of fiber, as well as protein, vitamins, and minerals. Just a half cup of beans can add between six and 15 grams of fiber to your salad, soup, casserole, or pasta, depending on the type of bean you use. Fibrous foods such as apples really help in stomach issues. A small apple with the skin on it contains 3.6 grams of fiber. The peels of many fruits contain insoluble fiber, which acts as a natural laxative. Chia seeds and flaxseeds are an easy way to add more fiber into your diet. Two tablespoons of chia seeds pack an extra five grams of fiber, while the same amount of ground flaxseeds adds about four grams. Sprinkling a spoonful of each into your smoothie, oatmeal, or yogurt, or using it as a salad topping, can give a low-fiber meal the extra poop-producing power it needs. Most of us hear broccoli come up in just about every discussion of good-for-you foods. That’s because the green stuff is an amazing source of essential vitamins, protein, and yup, fiber! Eating plenty of vegetables is essential to good digestive health, says Sam. Add a cup of cooked broccoli to any lunch or dinner for an additional five and a half grams of fiber. Pears don’t get enough credit, especially because they’re bursting with antioxidants and vitamins. They’re also one of the most fibrous fruits, so adding them into your diet is another way to ease any discomfort you may be experiencing in the bathroom. One medium pear with the skin will grant you five and a half grams of fiber (eat two and you’re close to half your daily fiber intake!). Include a handful of nuts like pistachios, peanuts, almonds, or walnuts in your diet every day. Toss them into your yogurt, salad, or just munch on them as a midday snack for a fiber boost. While they’re a great source of protein and healthy fats, just a half cup of whole almonds also gives you almost nine grams of fiber. Yet another reason to sneak in those whole grains is a constipated stomach. Oats are full of soluble fiber, which helps dissolve water, softening stool and making it easier for it to pass through the intestines. They also contain insoluble fiber, which increases stool bulk and helps get everything moving. Basically, they become a dream team and work their poop-inducing magic. Include three servings of whole grains in your diet every day, especially “intact grains” like oats and brown rice. Berries are always in the superfood spotlight due to their abundance of antioxidants, but they’re also rich in other essential nutrients. You are eating tiny seeds in each bite, so it increases your fiber. Half a cup of both blackberries and raspberries pack in about four grams of fiber each. Half a cup of sliced strawberries offers about half the amount. These fruits are super versatile, so throw them into your whole grain cereal and pancakes or even add some low-fat whipped cream on top of a bowl of your favorite berries for a low-calorie dessert option.